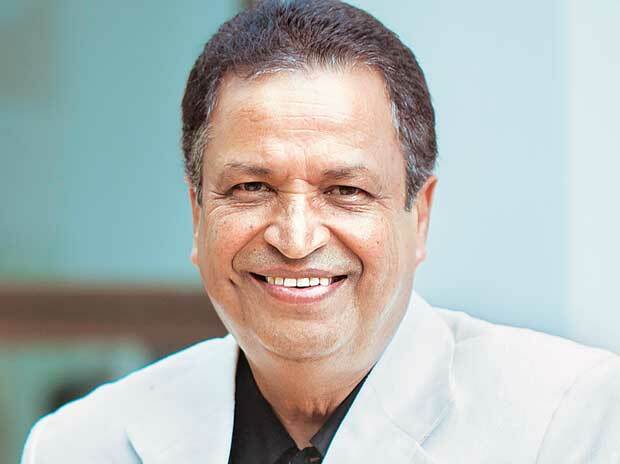 Forward this picture of Binod Chaudhary to 21 friends, and you’ll become a millionaire in three weeks. Just kidding, it doesn’t work that way. You will actually need to print various copies of the picture and give them to 21 of your friends in person. It’s not easy to become rich after all. Jokes aside; Binod Chaudhary is now the 1,561st richest person on earth, according to Forbes. His net worth was $1.31 billion last year; but with a $200 million-fortune jump, his net worth has been valued at $1.5 billion (up 14.5 percent than in 2017) – climbing six rungs on the Forbes billionaire list this year. Okay, let’s do some math now. In Nepali Rupees; the net worth of President of Chaudhary Group (CG) is Rs. 155,280,000,000. In last one year, his fortune increased by $200 million; which is like Rs. 20,704,000,000. It’s okay, take your time to process that info. So, if he added Rs. 20,704,000,000 to his fortune in one year; it means he added Rs. 56,723,287 every single day – which is Rs. 2,363,740 every hour. Yes, every damn hour!! If you made Rs. 100 every time Binod Chaudhary added Rs. 1 crore to his fortune; you will be a Crorepati in less than 18 days. Chaudhari is still the only Nepali billionaire (in USD) – which, obviously, makes him the richest person in the country. He had debuted in the Forbes billionaire list in 2013. Why exactly is he so rich and where does his money come from? According to Forbes, Chaudhary’s biggest asset is a controlling stake in Nabil Bank, but CG’s portfolio also includes food, electronics, beer and hotels. Chaudhary’s CG Food, maker of popular Wai Wai noodles, has overseas factories in India, Serbia, Saudi Arabia and Bangladesh. CG’s hotel assets consist of 29 owned and 70 managed properties, including a string of luxury hotels with India’s Taj hotel chain. Amazon CEO Jeff Bezos topped Forbes’ annual rankings of the world’s richest people with a net worth of $112 billion. Microsoft co-founder Bill Gates is the second richest person in the world with a net worth of $90 billion. According to the list, there are a record 2,208 billionaires in the world, up from 2,043 in 2017.